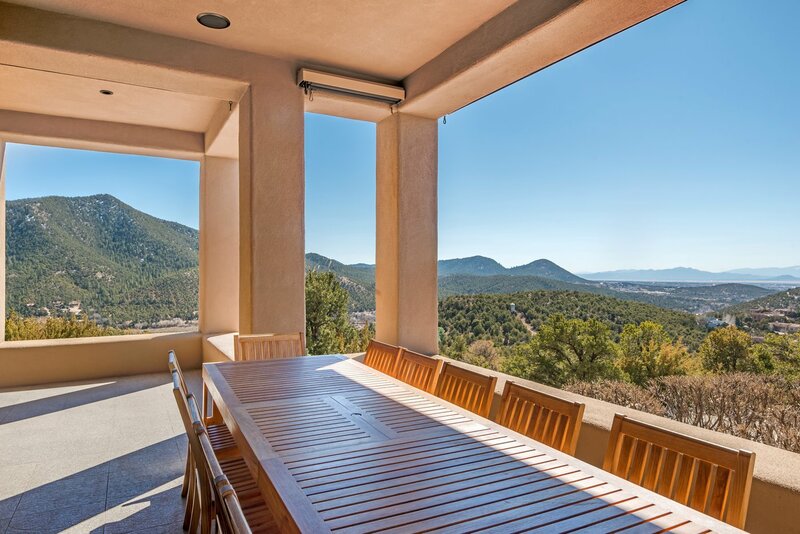 If you are looking for a contemporary house and guest house built to the highest standards of excellence incorporating exceptional materials combined with panoramic views this is it! 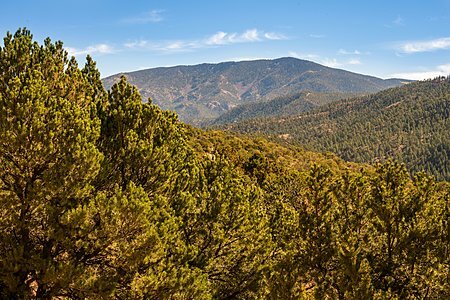 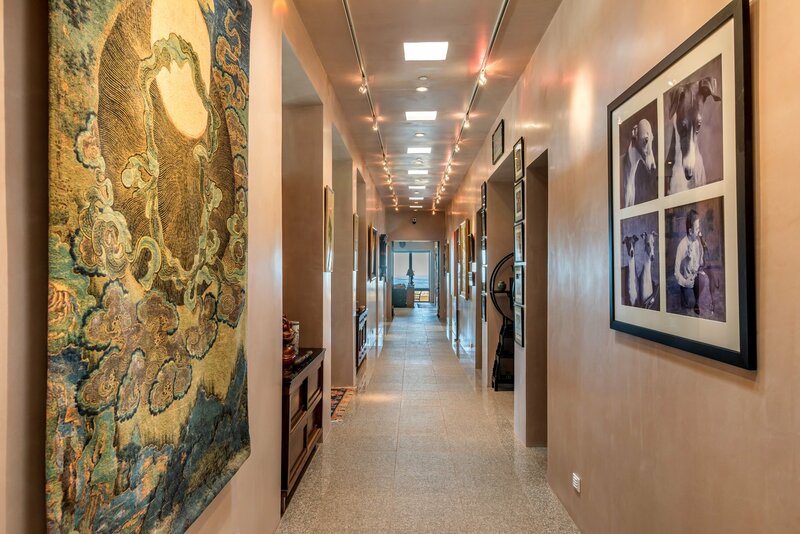 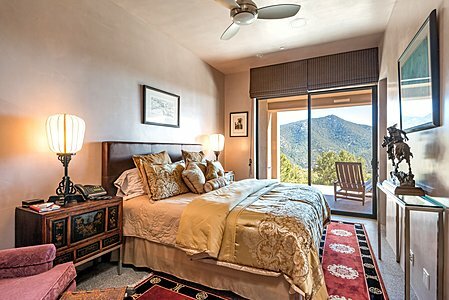 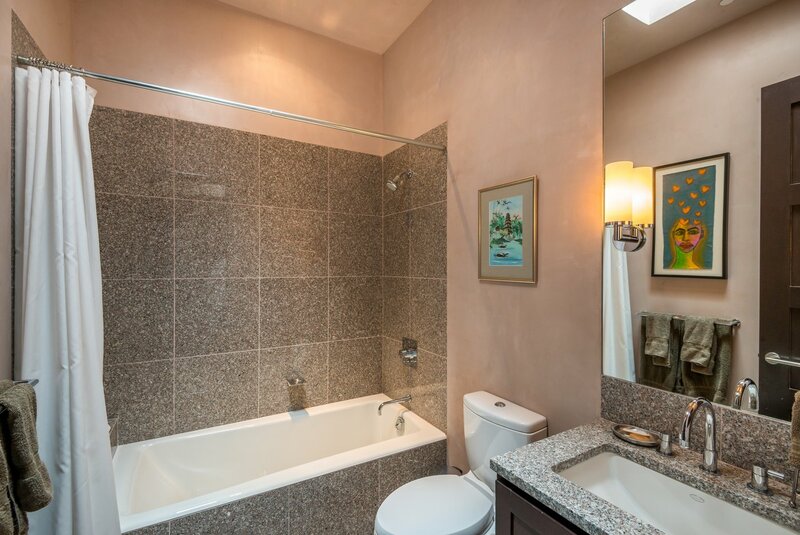 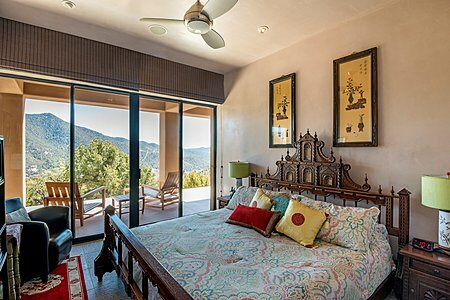 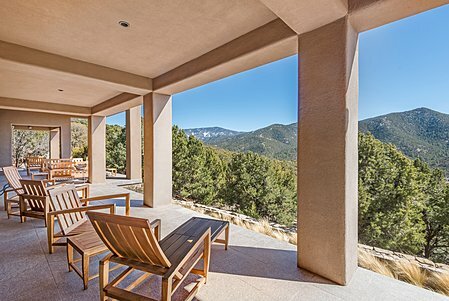 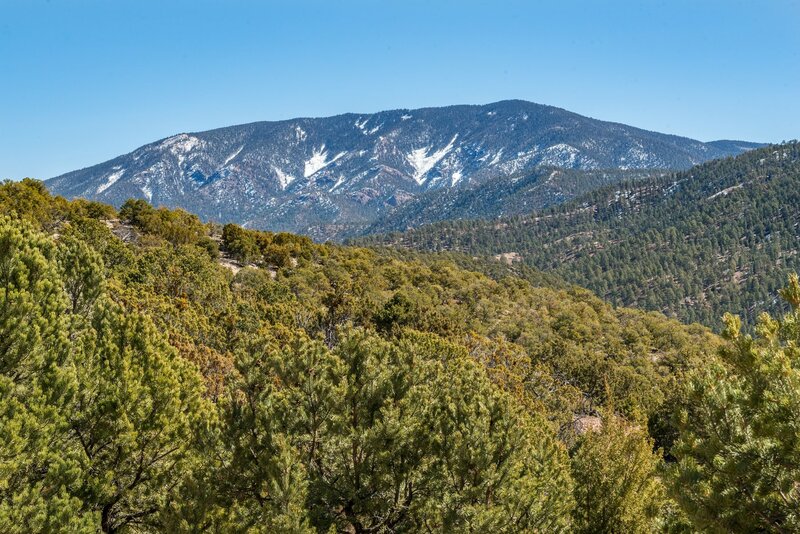 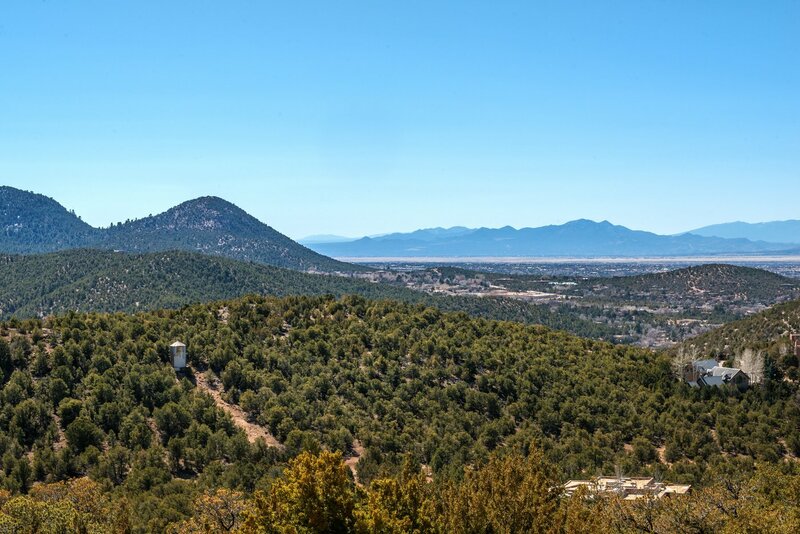 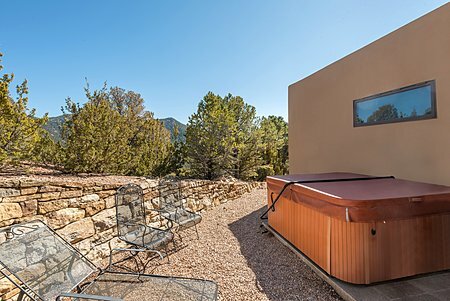 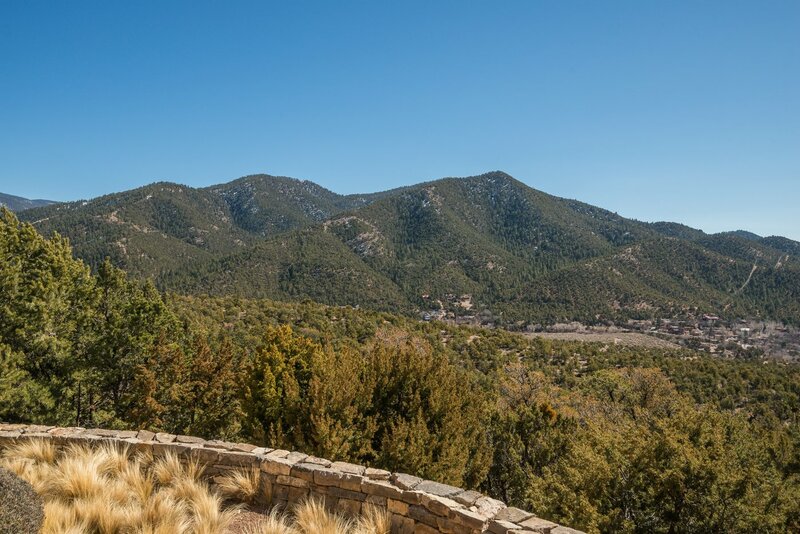 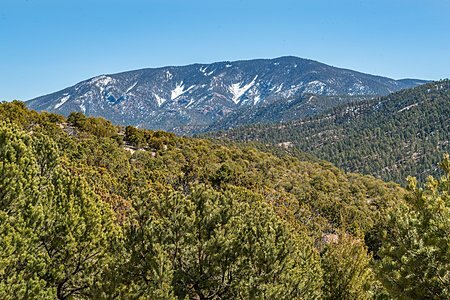 Located at the very top of Cerros Colorados on 1.85 acres, the site affords great privacy. 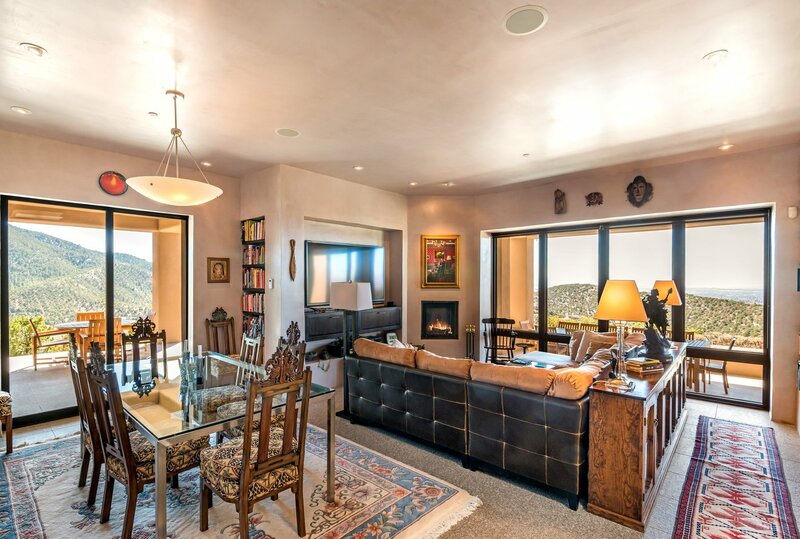 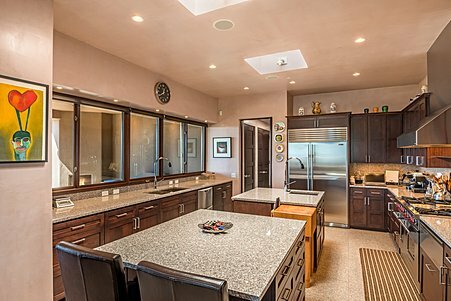 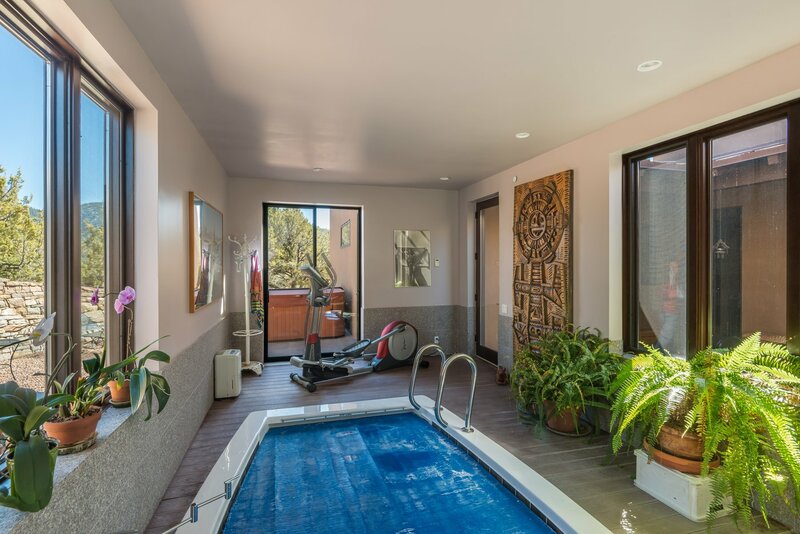 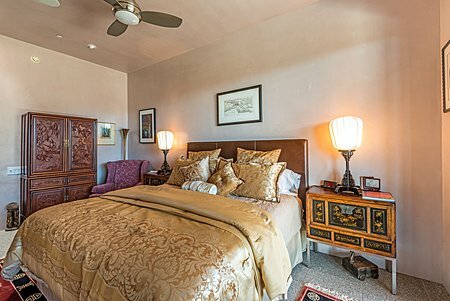 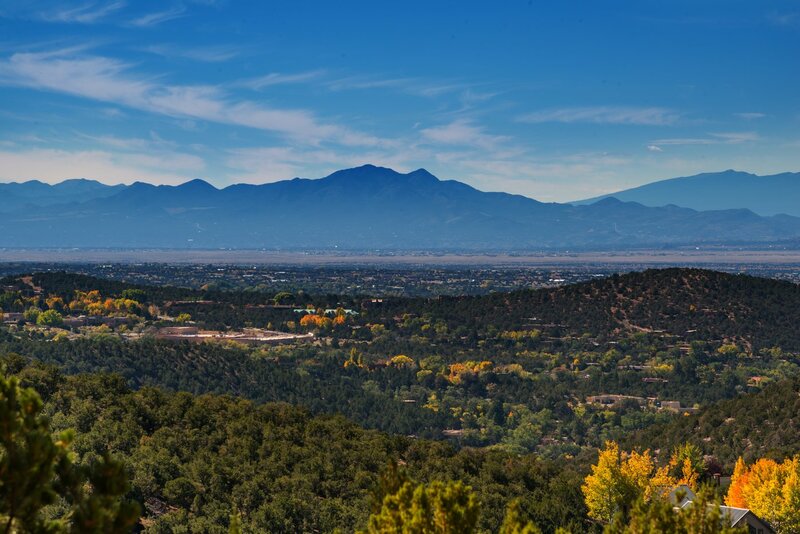 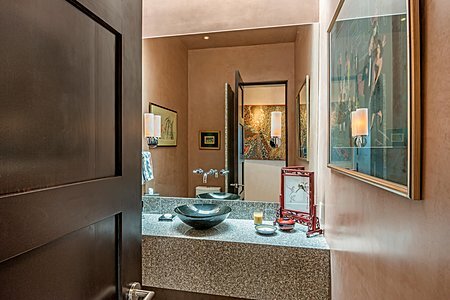 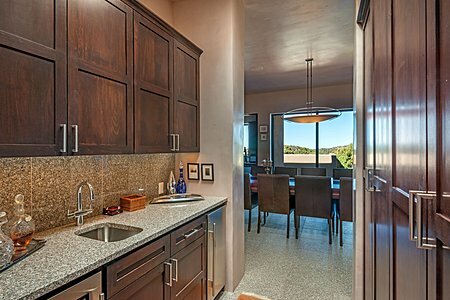 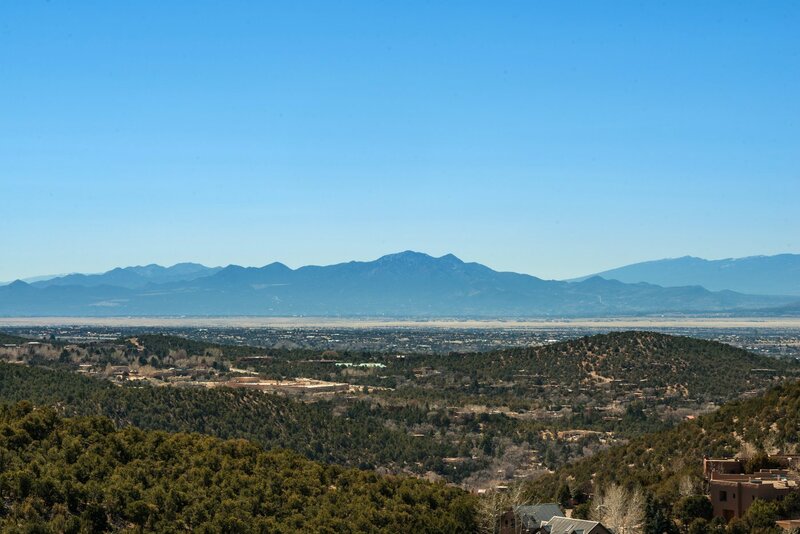 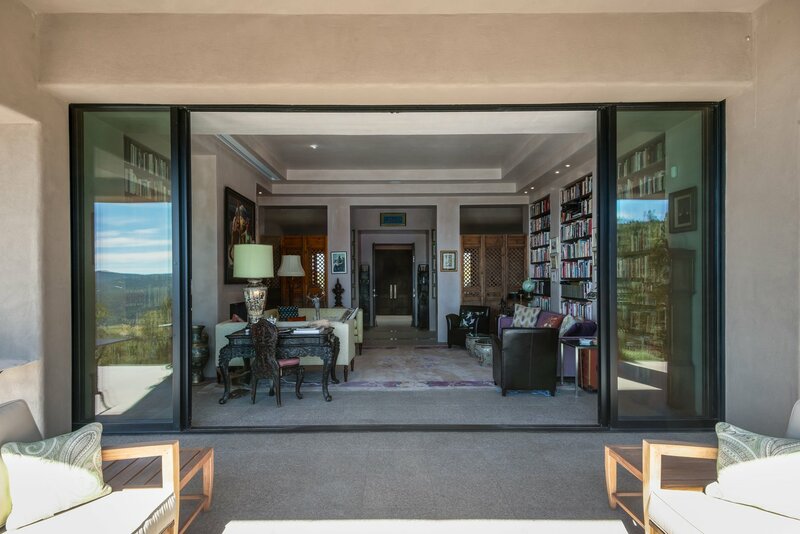 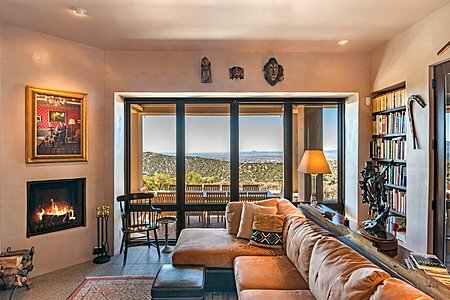 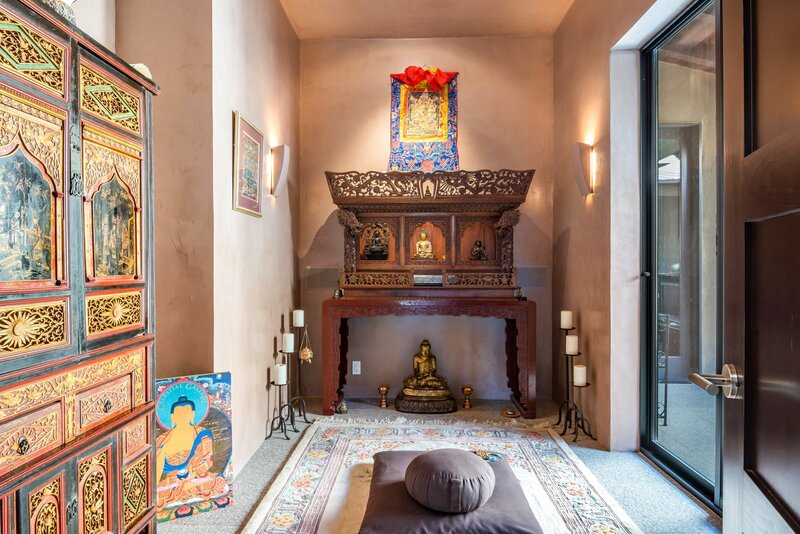 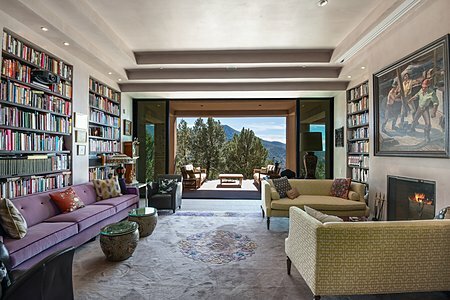 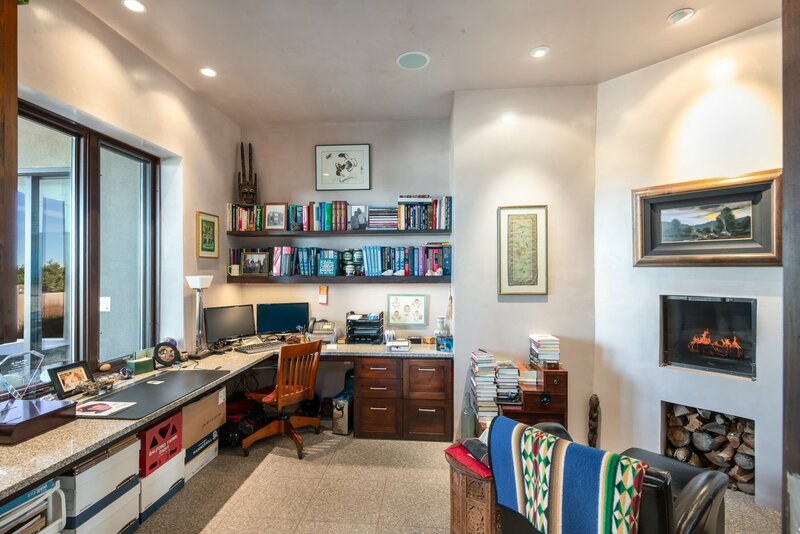 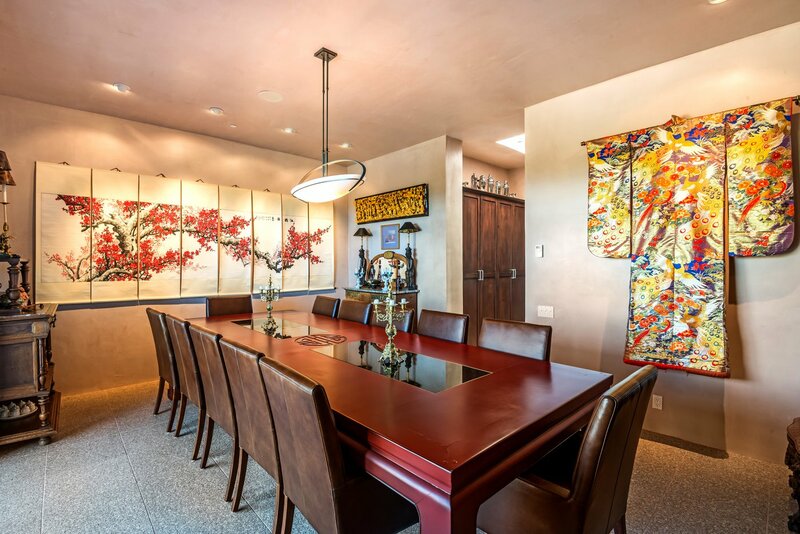 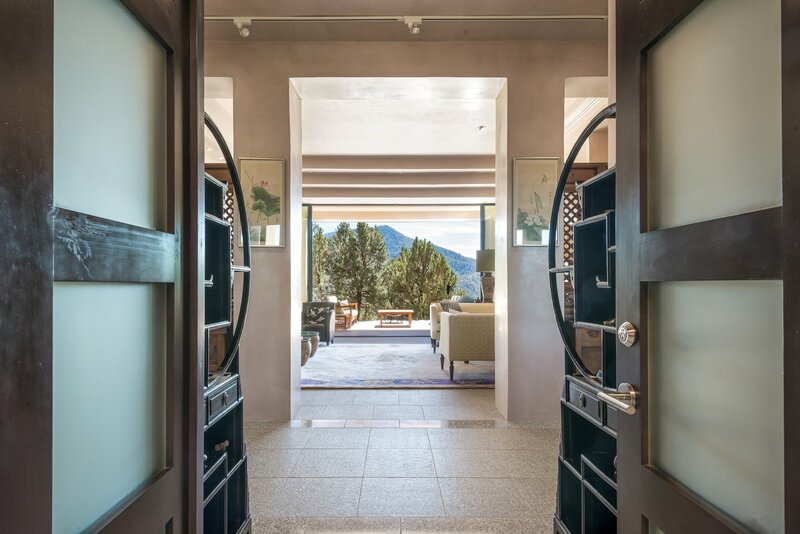 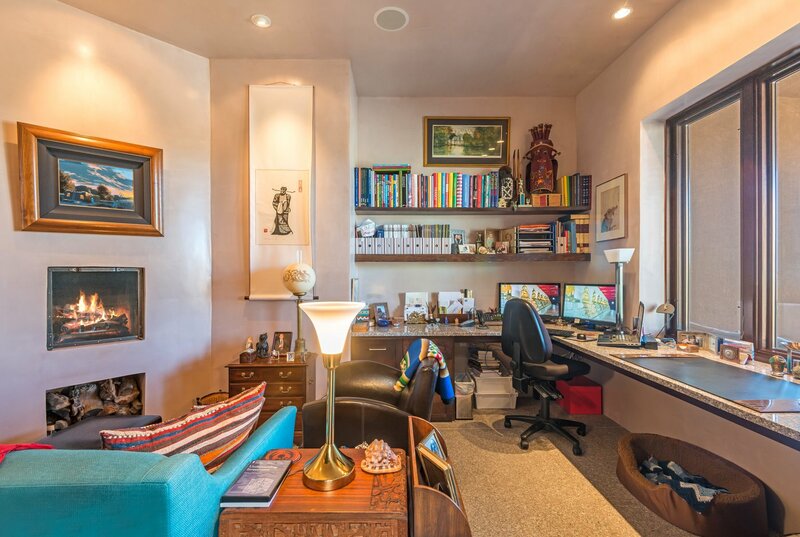 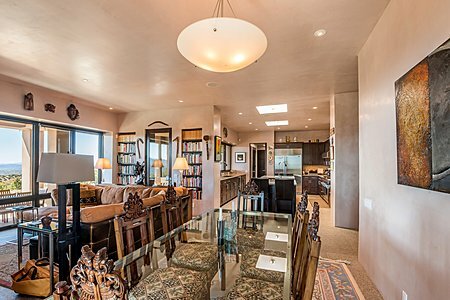 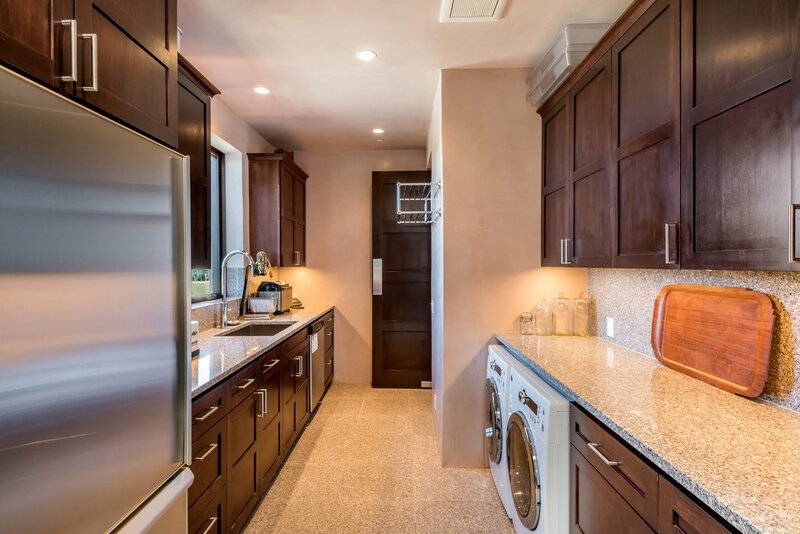 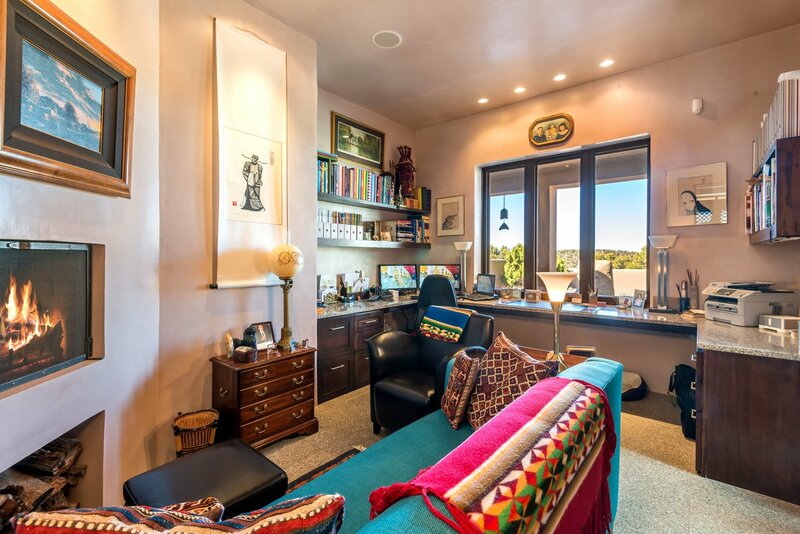 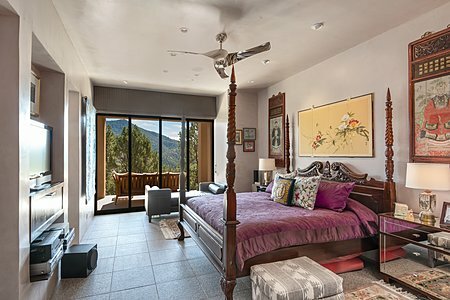 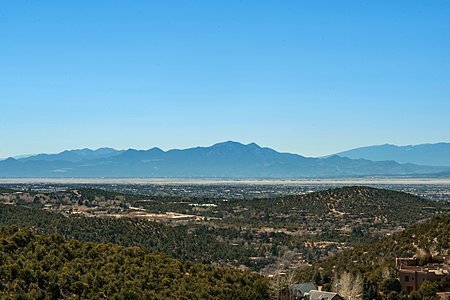 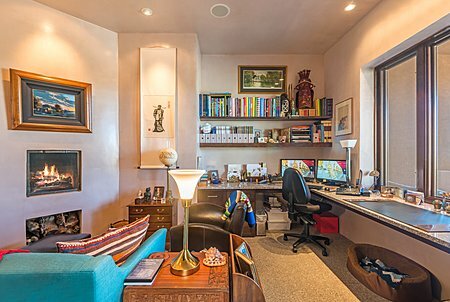 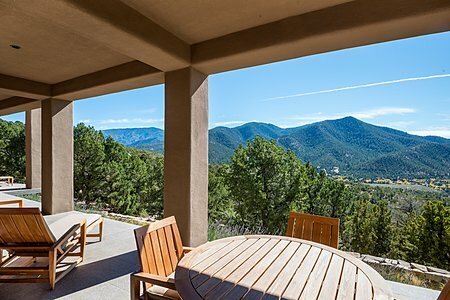 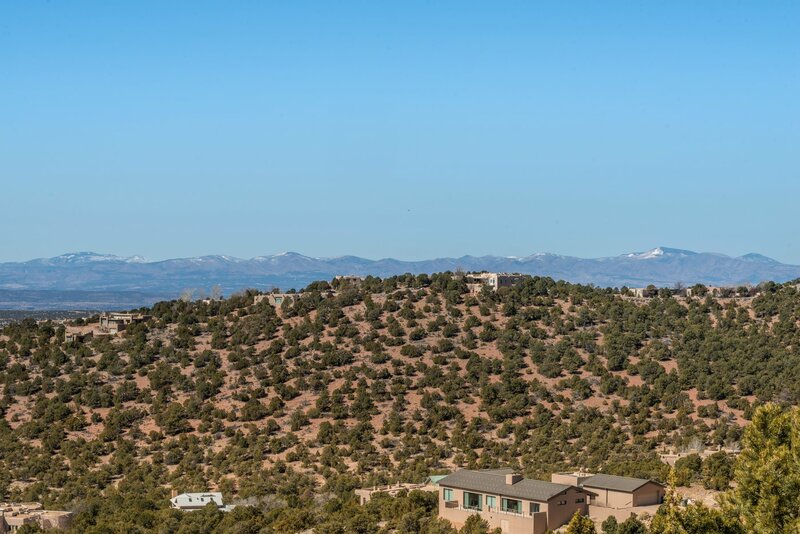 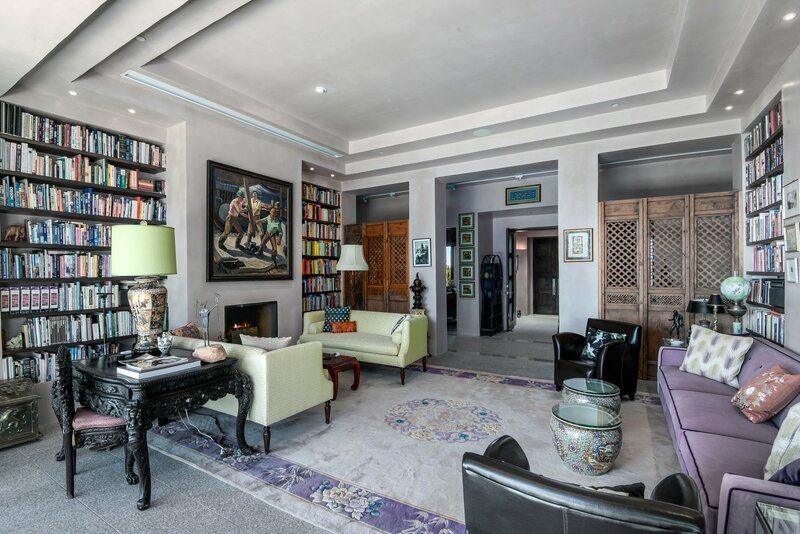 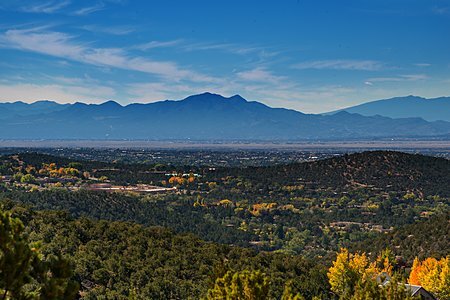 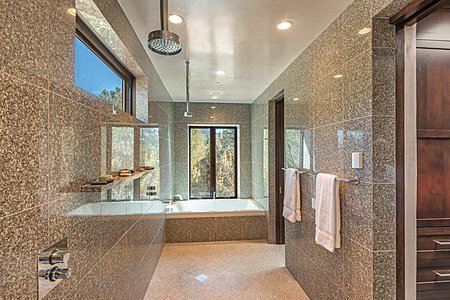 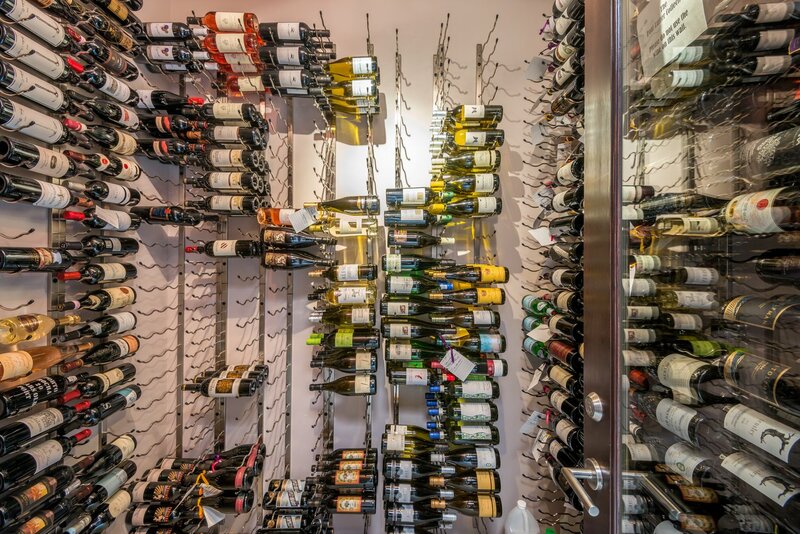 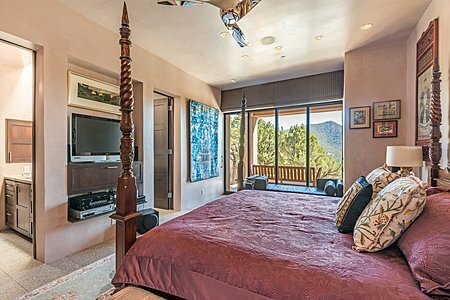 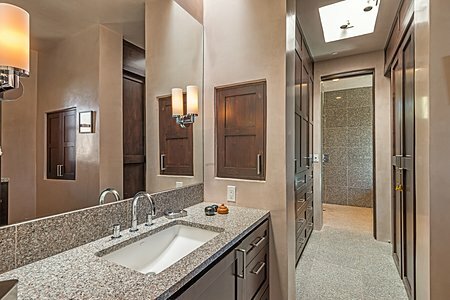 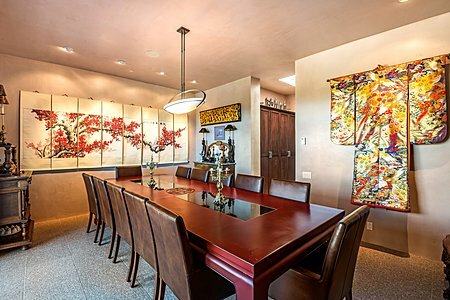 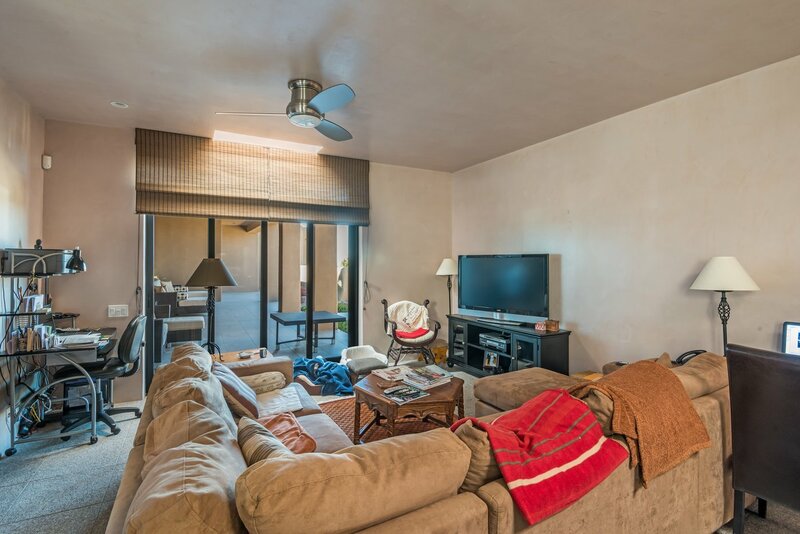 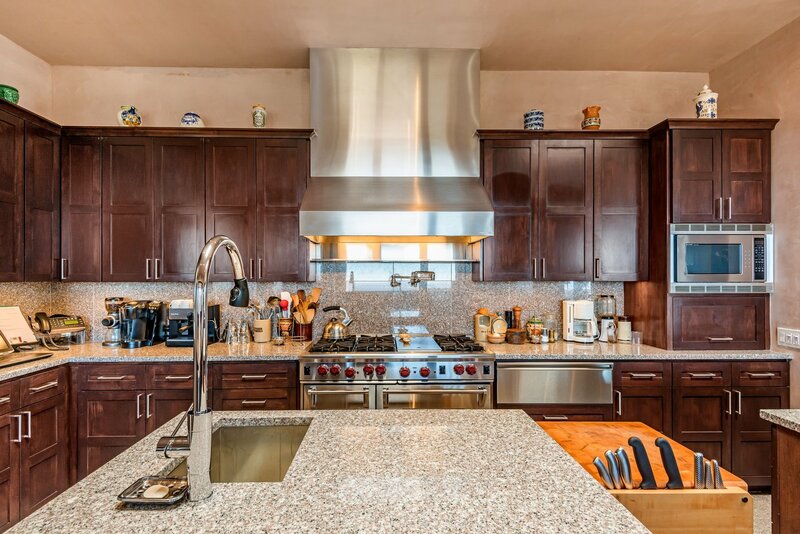 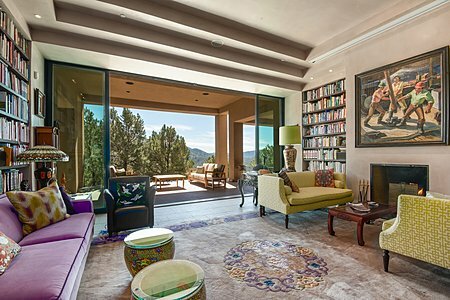 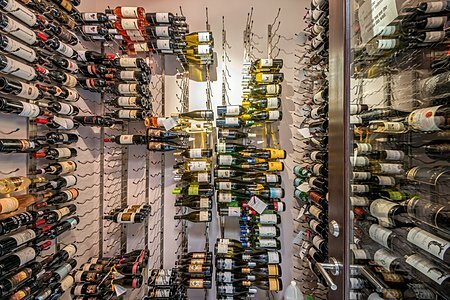 This estate contains every amenity one could hope for including perhaps the most amazing kitchen in Santa Fe, a walk-in wine cellar, stone floors throughout, plus an attached 2 bedroom guest house and a SwimEx exercise pool. 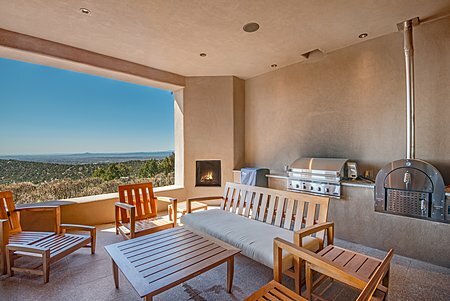 Deep portals wrap two sides of the residence for outdoor entertaining and includes one of many fireplaces plus a wood-burning pizza oven. The gracious entry foyer leads to an open yet formal living room, formal dining room, a large informal family room open to the kitchen, 2 separate private offices, 2 guest bedrooms with baths, a wet bar, electronics room and a privately situated master bedroom with matching closets and baths including a spa-like shower room. 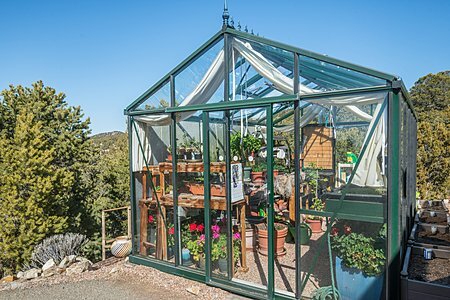 A heated greenhouse is also included with the property. 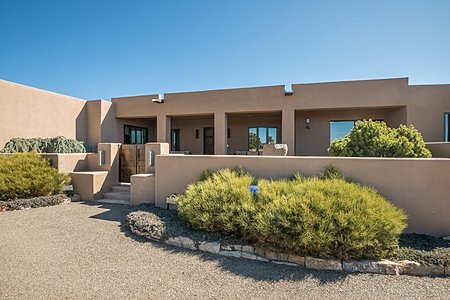 There is a garage space for 3 cars and a gated driveway.